Alan Bog has been involved in Forest Products Handling and Distribution for more than 30 years. His first experience of this sector was in France, particularly in the port of Rouen, which grew to be a major point of entry for paper and pulp. Since 2008 he has been based in China, responsible for the commercial development for Euroports’ facility in Changshu, the major hub for imported pulp, and their inland distribution centers. Euroports is one of the leading port terminal operators, currently operating facilities all over Europe and in China and particularly specialized in the pulp and paper sector. Mr. Bog has been a member of the IFPTA since 1987 and served on the Board of Directors from 2003-2009. In 2009, he was appointed Asia Regional Director and served in that position until 2015 when he was appointed IFPTA Vice President. In 2017, he became the President of the Association. Einar Didriksen joined Star Shipping in 1984 and has held several positions within chartering and operations in Norway, as well as in locations abroad. 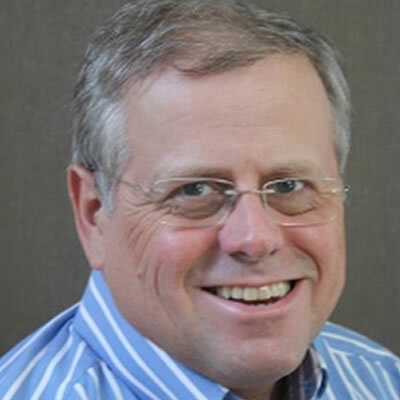 On the demerger of Star Shipping at the end of 2008, Einar Didriksen was appointed Executive Vice President of Westfal-­Larsen Shipping AS, and became President and CEO of the company in 2010. 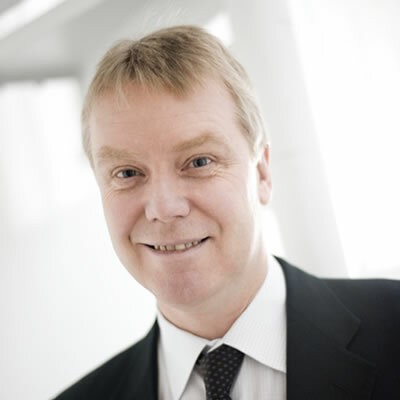 Upon the merger of Saga Forest Carrier and Westfal-Larsen Shipping in 2014, Einar Didriksen continued as Executive Vice President and COO in the new company, Saga Welco. Mr. Didriksen holds a college degree in transportation economics. Einar joined the IFPTA in 1997 and was served on the Board of Directors from 2009-2017. In 2017, he was appointed Vice President of the Association. Mr. Mutz, a graduate of West Virginia University with degrees in Biology and Business Administration, began his transportation and logistics career in January 1980 as a Territory Sales Representative for Airborne Express in New Jersey. After transitioning through several positions in management over 16 years, he was selected to be the direct liaison in the Americas for Mitsui & Co. Ltd. At that time, Mitsui was a Joint Venture Partner, and one of Airborne’s largest shareholders. After leaving Airborne, Tom worked for a few other global freight forwarders such as BAX Global, Exel, and then once again working directly for Mitsui & Co. Ltd., before joining PENN Warehousing & Distribution, Inc. in 2009. He has been a member of the IFPTA since 2010 and was appointed Secretary/Treasurer in 2017. Born and raised in New York City and Long Island, Tom openly suggests his greatest accomplishments are his marriage to his wife Kathy for 37 years, and their three children. Mr. Targe Bock’s career in forest products logistics goes back to 1999 when he started working as a Regional Logistics Manager for Kühne + Nagel in Buenos Aires. His tenure with Kühne + Nagel took him from Buenos Aires to Los Angeles to Baltimore and then to headquarters in Switzerland. 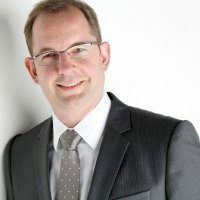 He left Kühne + Nagel in 2008 as Global Project Manager to join the European headquarters of Votorantim Celulose e Papel as European Logistics Manager based in Switzerland. In 2009, VCP merged with Aracruz to form Fibria. In 2010, Targe was promoted to Logistics Manager, EMEA for Fibria. His has had many successes during his time with Fibria including setting up five (5) new terminal operations to reduce overall supply chain cost, taking measures to improve supply chain performance, and managing overall cost reductions for three (3) consecutive years. In 2013, he moved with the company to the new headquarters in Lustenau, Austria and became Supply Chain Manager, EMEA. In April 2017, he took on added responsibility to become Supply Chain Manager of EMEA & APAC. Targe holds a degree in Business Administration and an Executive MBA for Logistics Management. He joined IFPTA in 2009 and was elected to the Board of Directors in 2017. 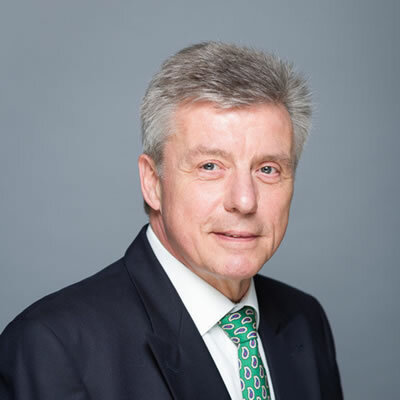 Horst Kaupke’s career started with a charter broker and liner agent where represented different shipping lines providing Ro/Ro and Semi-Container Servers from Hamburg and/or Bremen to various destinations in Scandinavia/ West Africa/ Far East and America. In this function he became more and more connected to Pulp / Paper / Lumber / Panel producing companies trading within those markets. In 1996, he began his tenure with BLG Cargo Logistics GmbH (owner and operator of the Port Neustädter Hafen, Bremen) as Manager Sales / Marketing for Forest Products. In this position he maintains intensive continuous contact and co-operation with forest product suppliers and affiliated service providers. In this role, he is involved with every aspect of the supply chain – from producer to final receiver. Mr. Kaupke joined the IFPTA in 1997 and was elected to the Board of Directors in 2015. Laurie Kravski is the Transportation Manager of Marine Services at West Fraser Mills, a position she has held since June 2010. She is responsible for the transportation of all of West Fraser’s products to international destinations. 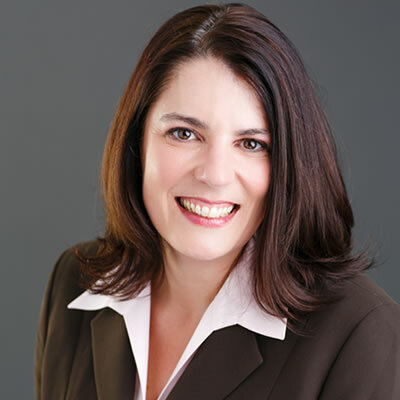 Previously, Laurie held the position of General Manager, Eurocan Sales for 5 years. Prior to 2004, Laurie held various sales positions in the Pulp and Paper divisions of West Fraser. Her career in the Forestry and Transportation Industry has spanned over 23 years. She received a Bachelor of Commerce Degree from the University of British Columbia in 1990 specializing in Transportation and Logistics. Ms. Kravski joined the IFPTA in 2007 and was elected to the Board of Directors in 2013. Annette Thuen-Hansen’s career began as a trainee in Star Shipping in 1998 where she subsequently spent two and a half years in Bergen. She then transitioned to Brazil, where she worked as Line Manager for Star Shipping from Brazil to the Mediterranean and to the USWC, as well as taking care of their conventional vessels that called EC South America. 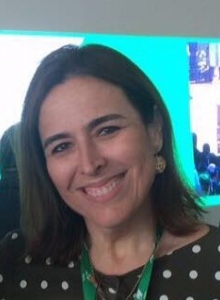 After four years in Brazil, she returned to Bergen, Norway as the Chartering Manager for Star Shipping overseeing services from Brazil to the Mediterranean and to the US. After the split of Star Shipping, she took the challenge to build up Grieg Star Shipping’s South America desk, which is an ongoing project, and worked as Area Manager South America until 2013. In 2013, she became the Vice President of South America and then took over responsibility for the North Atlantic in 2014. In her 17 years in the shipping business she has contributed to develop new services and business as well as increase earnings in already existing services. She has a Master in International Business, Strategy and Management. Ms. Thuen-Hansen joined the IFPTA in 2013 and was elected to the Board of Directors in 2015. Ana began her career with logistics in the shipping market very early when she was only 18 years, and worked for over 10 years, between Brasnave, as commercial manager as agent for foreigner shipowners and at Norsul, as shipowner. Her wide shipping experience drove her to the pulp and paper industry with Jari and Suzano for five years each, both as International Logistics Manager and an extra four years with Jari as corporate logistics manager for both International and National market. She also worked for Orsa International Paper until the beginning of 2015 as logistics corporate manager taking care of the packaging, paper and waste paper logistics in the Brazilian market. She joined Klabin as international logistics manager taking care of all their exports and imports including the PUMA project. Ms. Trilho joined the IFPTA in 2004 and served as the IFPTA’s South American Regional Director from 2007-2015. In 2015, she was elected to serve as a Director. 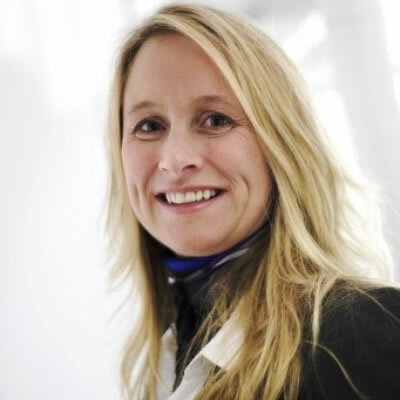 Rhoda Voth is General Manager for Saga Welco, North America. Saga Welco operates a fleet of 52 vessels, designed specifically for carriage of forestry products. She joined Saga Forest Carriers in 1996 as Claims Manager, and in this role, worked with vessel operations to define corporate guidelines for stowage and protection of forestry products to ensure safe carriage by sea. When headquarters moved from Atlanta to Norway, she opened the regional office in Savannah, serving as Commercial Manager. In this role she worked to develop and manage contracts of carriage for various commodities including pulp, newsprint, lumber, kaolin clay and wood pellets, originating from North America and going to various worldwide markets. Prior to working in shipping she was on faculty at Mercer University, a Management Consultant with Deloitte & Touche, and an Engineer for Goodyear Aerospace. 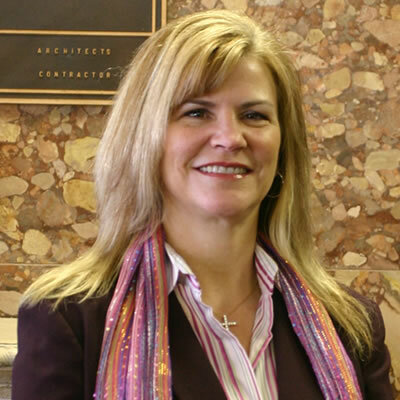 Rhoda holds an MBA degree from the University of Akron, and an Industrial Engineering degree from Purdue University. Following completion of the required courses for “The Institute of Chartered Shipbrokers (ICS)”, she became a member, and received the Port Strategy Award for the highest score worldwide on the Port and Terminal Management examination. Recently, she has been promoted to ‘Fellow’ within ICS. She joined the IFPTA in 2013 and was elected to the Board of Directors in 2017. Since joining the Alabama State Port Authority in 2001, Anna Ward has managed traffic and sales for the forest products, perishable cargoes and oversized/heavy lift cargoes. Ms. Ward’s traffic and customer services responsibilities include the Port Authority’s breakbulk carriers, railroads, trucking, barging and warehousing companies calling on the public terminals. Prior to joining the Port Authority, Ms.Ward served in a number of positions with Tramarco Lines, now Caribbean Forest Carriers rising to General Manager. 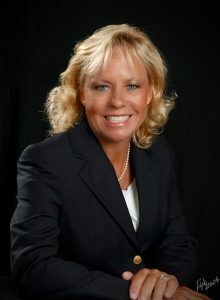 During her tenure at Tramarco, Ms. Ward oversaw the opening of the Mobile office and inside sales both of which contributed to the carrier’s growth from three vessels to ten vessels inside nine years. Ms. Ward began her career with Page and Jones, and then moved to Strachan Shipping working in a number of positions servicing general cargo customers and vessel operations rising to the position of Line manager. Ms. Ward has been a member of the IFPTA since 2007 and was elected to the Board of Directors in 2013. She is an active member Propeller Club, the Railway Industrial Clearance Association and Southeast Association of Rail Shippers, where she has served on the Board of Directors as Secretary and 2nd Vice President. Buddy Greene started working full-time in the maritime industry in 1968. In the past 47 years he has worked primarily in stevedoring operations having various responsibilities from Port Manager to Vice President. Currently, Buddy is vice president for Cooper/T. Smith Stevedoring Company, focused on the operations and the forest products side of the business. Cooper/T. Smith is one of America’s oldest and largest stevedoring and maritime firms with operations on all three U.S. coasts and foreign operations in Central and South America. 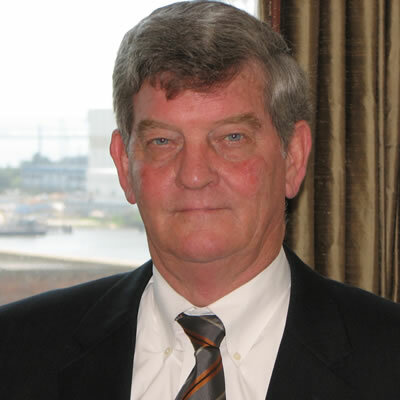 He is Director of the National Maritime Safety Association (NMSA), and Chairman of the Mobile Steamship Association. Mr. Greene joined the IFPTA in 1983 and served on the Board of Directors from 1989-1997. In 1995, he was appointed Vice President of the Association and served in that position until 2010. In 2010, he was appointed President of the Association and served in that role until 2017. He is now President Emeritus of the IFPTA.